Tree trimming and pruning is one of the essential components of maintaining a landscape you can enjoy for years to come. 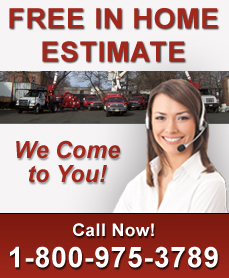 Uncle Matty's tree trimming service in NJ helps to maximize the appearance, safety and shape of your trees and shrubs. The natural beauty of your trees and shrubs will be enhanced by the trimming services from expert tree care technicians from Uncle Matty's Tree Service. The natural look and feel of your landscape will be maintained and even improved. Tree trimming services are one of the most essential tree maintenance practices. Essentially, there are two objectives in trimming trees and shrubs. Tree maintenance and tree trimming protect and improve your trees' overall health and structure. Tree trimming and removal reduces hazard by identifying visible concerns and potential risks to assess dangers and maximize tree safety. If you have already gone through the expense of having a tree removed from your property, yet still have a stump left in its place, we are the professional tree experts to take care of this for you. Our tree stump removal service not only removes the remaining tree stump, but also prevents the attraction of bugs and weeds, increases the value of your property and even improves the overall health of your lawn and surrounding vegetation. For tree stump removal, or tree trimming and pruning in NJ, please contact Uncle Matty's Tree Service today at 1-800-975-3789 and a tree expert will be glad to help you. Get a Free Quote Now!